A cool tech shirt, an even cooler beer glass and a nice 3rd place medal. I signed up for this one on a whim, just earlier in the week. 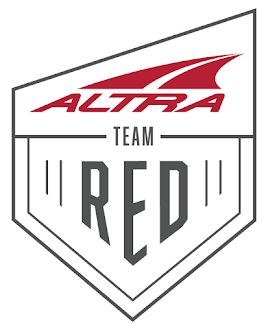 I had never participated in the XTERRA Trail Race Series and figured this 15K would be a great replacement for the half marathon my marathon training schedule called for today. I met up with Jason in the parking lot of the Monte Sano State Park main picnic area and we lined up to pick up our race packet and bib with disposable timing chip at 7:45AM, 45 minutes before the race would start. 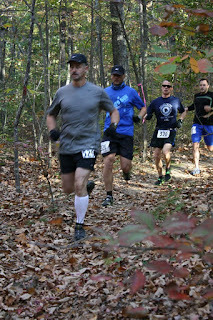 There were many of the usual local suspects around, as well as a lot of non-locals that were here to garner points for the Alabama Trail Series (one of a series of trail races in Alabama, Georgia and possibly other states culminating in a "Championship Race" in Hawaii), so I very quickly decided that there was no need to worry about finishing in the top three of my age group as it wasn't going to happen...or was it? 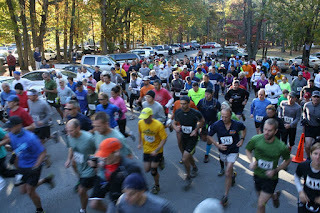 Race start: I'm moving too fast (bottom left corner) for the photographer. do my utmost to get out front with the faster runners, so I wouldn't get stuck in a Congo line going down the single track trail. My plan worked like a charm, but I was clearly going way too fast to be able to maintain this pace for the entirety of this race. So when I hit the first climb to the "Stone Cuts" after running the first mile at 7:14 pace, I decided to slow it down to a more manageable pace. We were still bunched up during the first mile. After about three miles, I did something I had never done before. I made the decision to forget about my pace and to forget about elevation changes as race tactic indicators. Instead, I would monitor only my heart rate. I decided to try to keep it steady and to keep it at 175 bpm, roughly 20 bpm below my maximum heart rate. I figured if I could maintain that heart rate, I should be able to continue to move at a decent pace without blowing up while also allowing me to save some energy for a final push on the final stretch of the race (including the final climb). I continued with this new plan while passing a couple of guys in the process, just before the only aid station on the course at 5.5 miles. 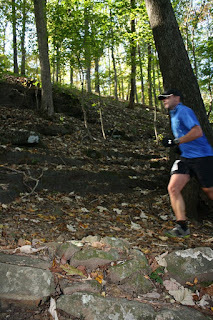 Prior to arriving at this aid station, I had to climb up Warpath trail, which is extremely steep. This was the only section that forced me to walk for just a moment just to make sure I kept my heart rate in check. Once I reached the top of Warpath and the aid station, I did squeeze down a chocolate Gu that I washed down with a small cup of Powerade and a cup of water before continuing on my run. That very short break gave me new energy, just in time to pick up the pace as we headed down a section of the Mountain Mist trail. I knew there was one last climb to go and I wanted to make sure I had time to spare when I got there. The final climb was very familiar to me. After all, my running buddies and I run this section as part of our favorite hill trail workout (Pratt Ave Ranger Station Out & Back, look it up on Garmin Connect and you know what I mean) almost weekly. As I climbed up this final hill, I spotted a photographer on the side of the trail. Obviously, I couldn't walk with this guy snapping my picture, so I continued to shuffle up the hill. 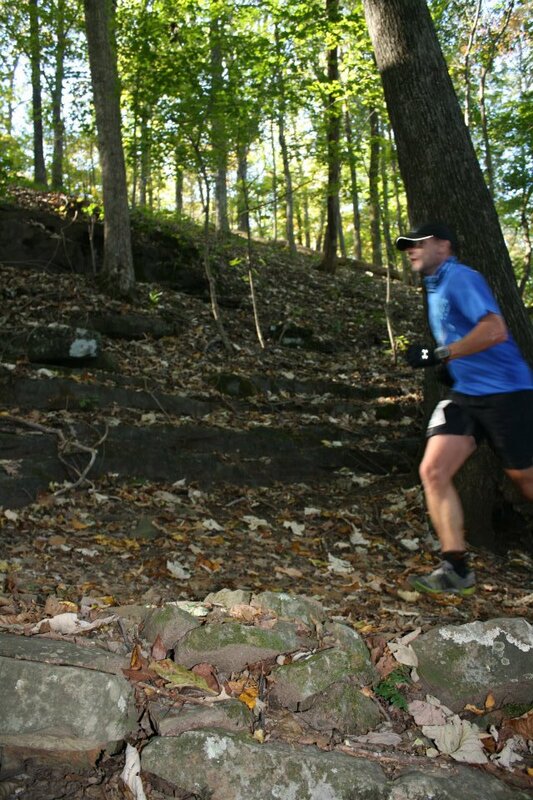 When I reached the top and made my final turn, I noticed a line of runners just behind me. The first of them was breathing down my neck very soon after and I decided to let him pass. However, that would be the end of it. I realized that me letting one guy pass would encourage the others to try the same. Instead, I stayed on the heels of the guy that had passed me. This in turn made him speed up..and soon and so on. When we finally crossed the finish line after 1 hour 25 minutes, everyone seemed to be in an all out sprint. 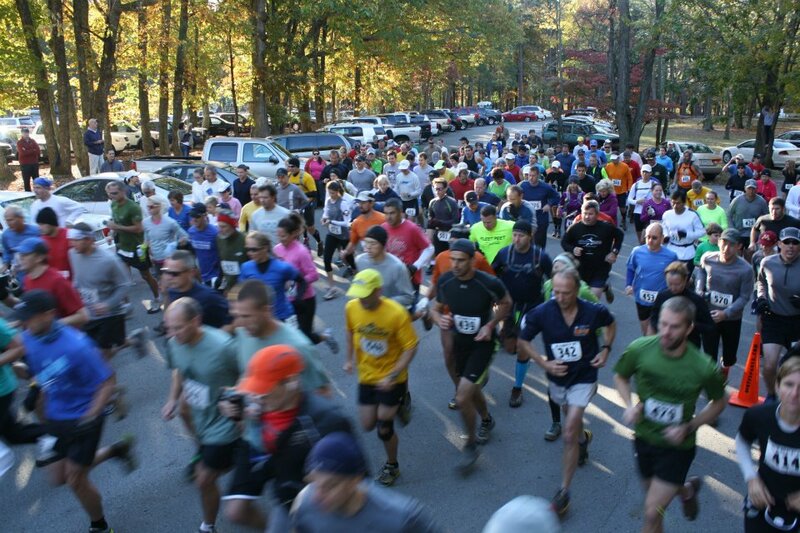 What a fun way to finish a 15K trail race. At the end of the day, I walked away with 20th overall and 3rd in my age group (40-44), which appeared to be the largest age group. The final results can be found here. 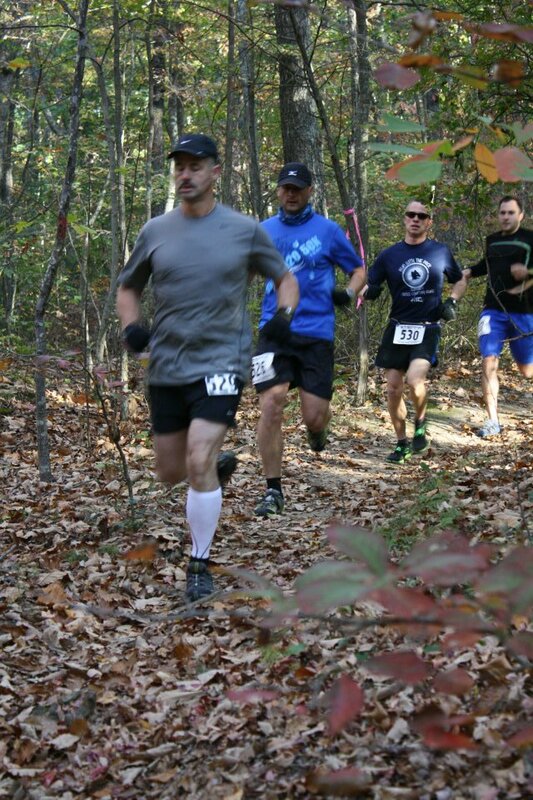 This race did make me feel like I am on my way to faster trail times in general. I just need to figure out how to transition these faster times to the ultra distances. Tape was strung across the opening to the Stone Cuts. While I think it was probably there to show people the route, it was across the entrance. I'm very familiar with the cuts, but bushwhacked around rather than duck under the tape. Only bad part of the race. Anonymous, yeah, I figured there was some confusion and I mentioned it to the RD afterwards. He said that there were two options to go through that section, one through the cuts and one around them, so I guess both were ok. I didn't actually see any tape at the entrance, so I'm not even sure if we all approached the stone cuts from the same direction. Either way, it appears most people made it through and everything else was marked pretty clearly.